Danmar swim rings Size Small Medium Large Weight 20 - 30 lbs. 30 - 80 lbs. 80 - 200 lbs. 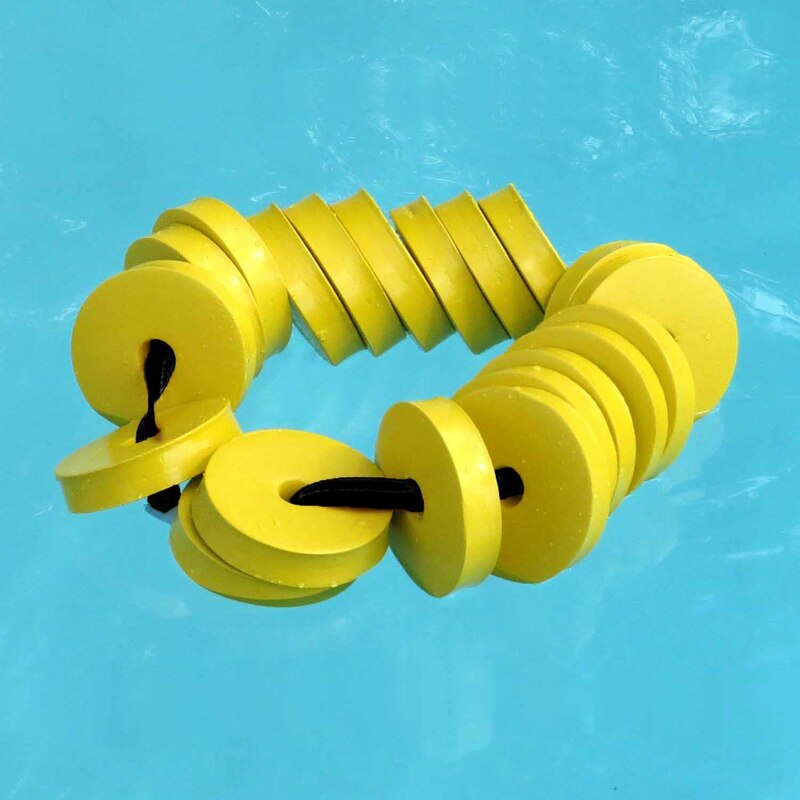 Dimensions (ring diameter) 2½" 3½" 4½"
Danmar swim rings can be customizable to fit the comfort and needs of a user. 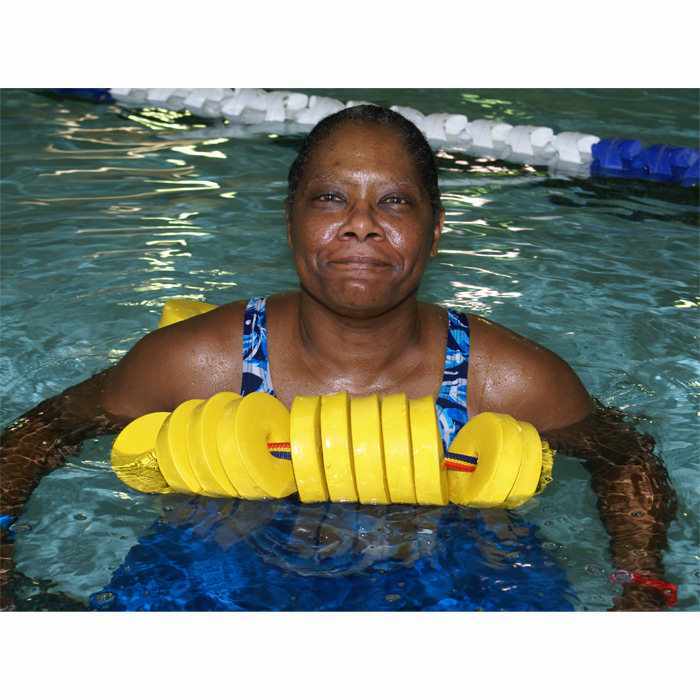 Sets may be snapped together for neck, chest, torso, or body support. 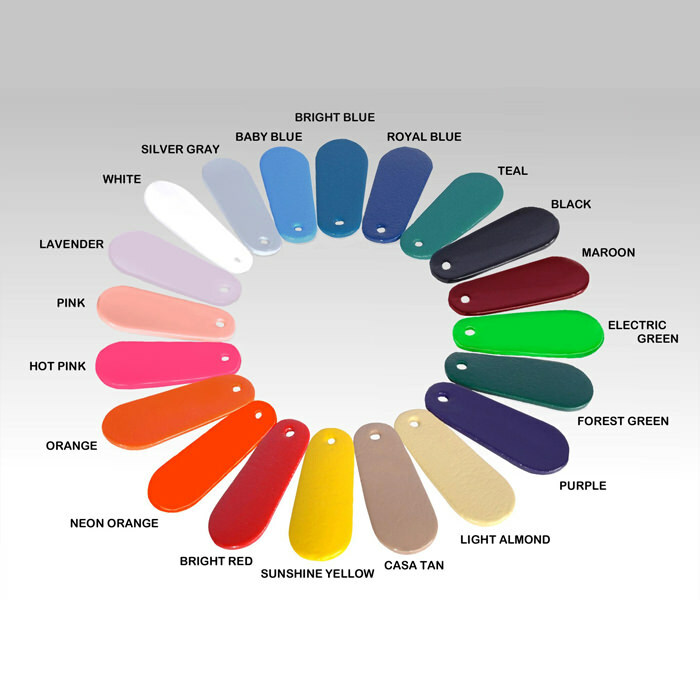 Individual rings can be added or removed to increase or decrease the amount of flotation, as well as to adjust for comfort. 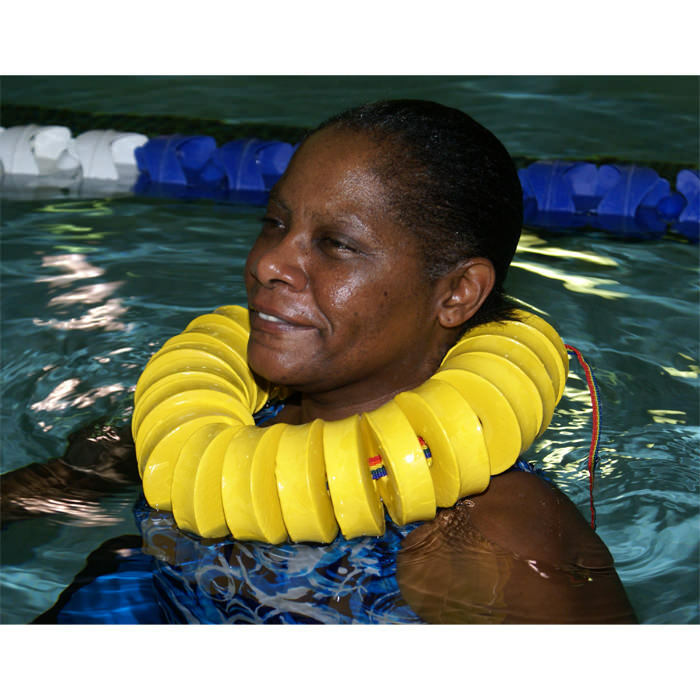 Swim rings comes with a standard 43" strap and 20 individual rings, ring diameter is determined by size: Small 2½", Medium 3½", and Large 4½". Weight 20 - 30 lbs. 30 - 80 lbs. 80 - 200 lbs. Dimensions (ring diameter) 2½" 3½" 4½"
Items that do not fulfill your desired purpose or which do not suite the user should be returned immediately to the manufacturer within a week, prolonged use is not advised.